Among the seaside town of Izu"s ocean waves and rays of shining sun, Iori Kitahara is just beginning his freshman year at Izu University. 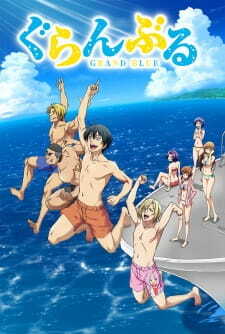 As he moves into his uncle"s scuba diving shop, Grand Blue, he eagerly anticipates his dream college life, filled with beautiful girls and good friends. Grand Blue 1, 2, 3, 4 ve 5. bölüm 1080p eklenmiştir. İyi Seyirler.